Lensatic: Who Will be the Next Great Baseball Player from the Dominican Republic? Who Will be the Next Great Baseball Player from the Dominican Republic? If you catch me reading or watching sports, it's probably baseball or boxing. Now that the chapter of the Yankees' Core 4 closes with Derek Jeter's departure after this year, it's time for a new one to begin. 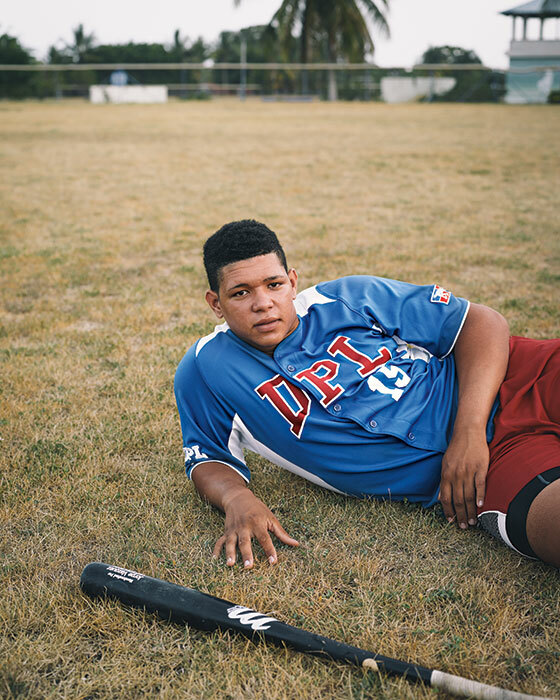 So I was pleasantly surprised to come across this NY Magazine article by Joe DeLessio with photographs by Pieter Hugo that gives us a preview of the top Dominican beisbol prospects this year. These are talented 16 year-old athletes who grew up mostly in poverty and now have signed million dollar contracts. 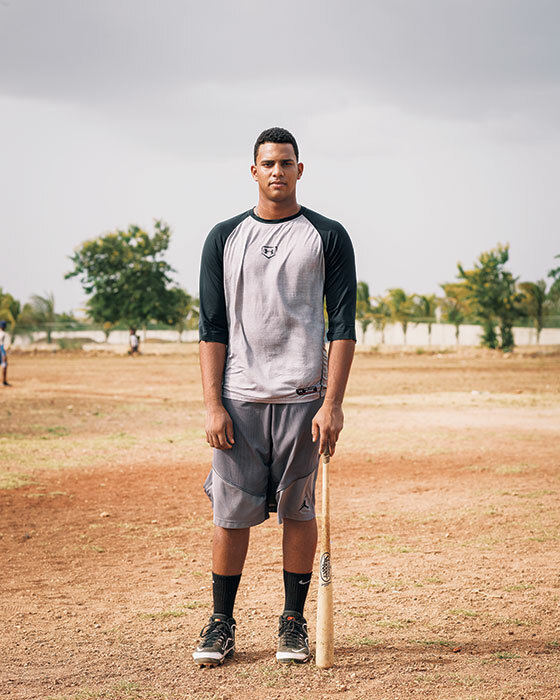 [P]rospects turn pro much younger abroad—­especially in the Dominican Republic, which has become the major pipeline of Latin American béisbol talent.American players aren’t eligible to be drafted until they are 18 and out of high school, and young stars often wait until they’ve ­completed their junior year of college. In the Dominican Republic, top prospects sign with major-league clubs their first summer as 16-year-olds, at which point many of them have already been playing ball full time for years. We photographed and interviewed a group of this year’s top Dominican prospects just before signing day—an annual event in early July that marks the end of something for them as much as it does the beginning. Dominican preteens are scouted in local Little Leagues by men called buscones,who take the best of them under their wing when they’re around 12 years old. 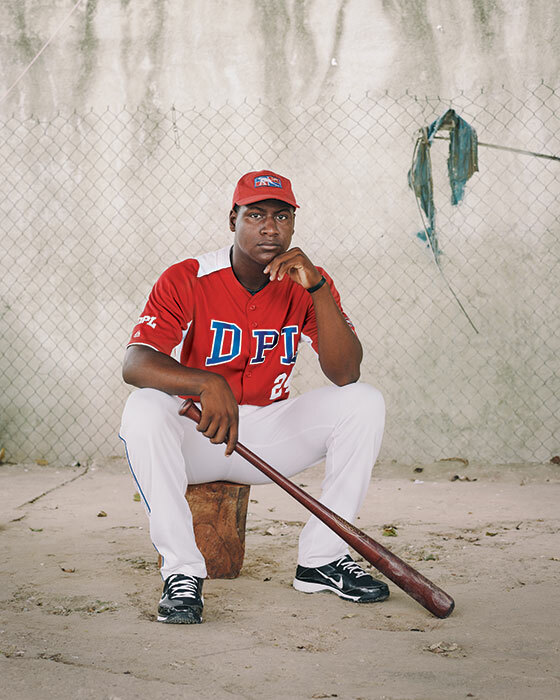 A buscón serves as both a trainer and a sort of street agent, not only offering baseball instruction but often taking care of food and housing—in exchange for 30 to 40 percent of the player’s eventual signing bonus. (Sometimes the trainer who discovered the player will sell him to a more prominent buscón when he’s around 14 years old.) It’s a system that can lead to exploitation, but it also offers an opportunity for players with big-league potential who otherwise have little access to facilities or instruction to develop their skills. The buscones operate their own training academies, which range from small ones with a few players to more-elaborate complexes, funded by U.S. backers, that can accommodate dozens. Some players also hire an American agent to negotiate their contracts in the months leading up to signing day. Major-league scouts observe players in those private academies as well as in showcase games run by organizations that get a small cut of players’ signing bonuses in exchange for making them more visible. Below the break are the ones signed by my favorite team, The New York Yankees. If you want to see who was signed by the rest... especially the hated BoSox, you'll have to read the article. Signed on July 2 with the New York ­Yankees for $3 million. Signed on July 2 with the New York Yankees for $2.25 million. Signed on July 2 with the New York ­Yankees for $2 million.